It’s another beautiful day for a project! 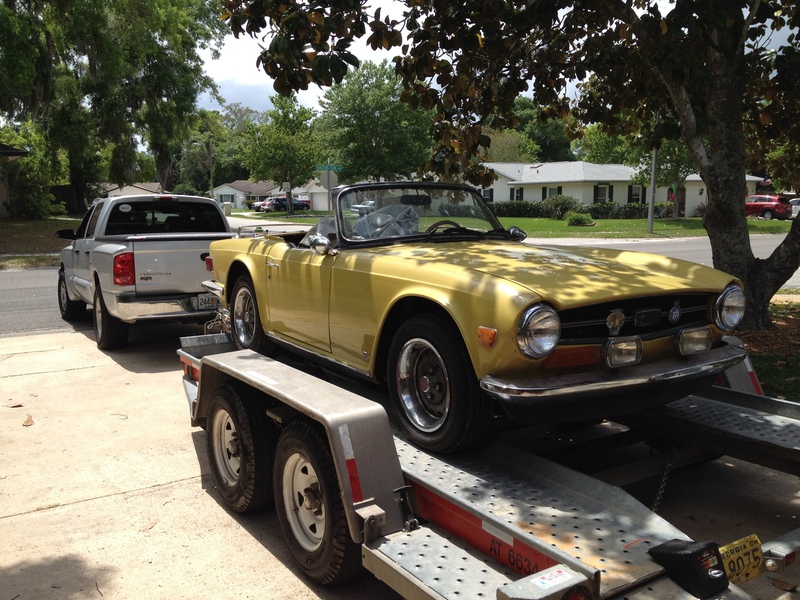 Ned’s TR6 has been awaiting some TLC, waiting in our garage in Florida. Today it’s leaving the building … has left the building … for its new home, our garage in Maine! I’ll hold down the Florida fort while he drives his car to Maine and back to Florida. Life’s an adventure and we’re looking forward to our new life! … has left the building! 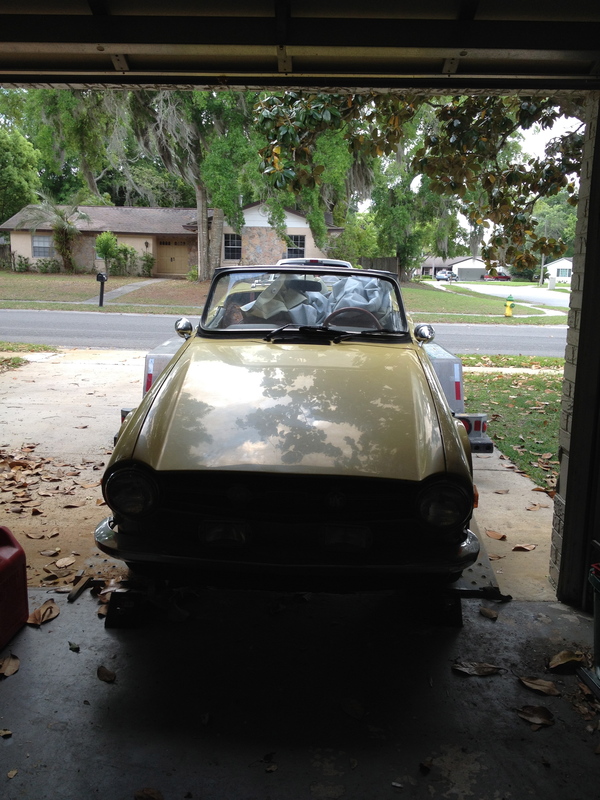 This entry was posted in Before the Move and tagged adventure, Maine, Messalonskee Chronicles, moving, moving to Maine, TR6, Triumph on April 5, 2015 by lindarockwell3.